The most common reason for red, swollen, puffy, or bleeding gums is inadequate oral hygiene. 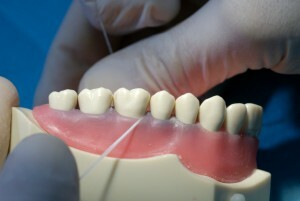 This means that the basic routine of brushing and flossing twice each and every day is not being done. Perhaps flossing has not been done in quite awhile or teeth are only brushed once a day or less, but neglecting to thoroughly clean your teeth and gums twice daily will soon show in the health of your gums. It takes very little time for plaque and tartar to build up on teeth and along the gumline, in fact almost immediately after brushing it begins to rebuild. This buildup of plaque is what irritates gums when left uncleaned for too long, which can be within as little as 24 hours. 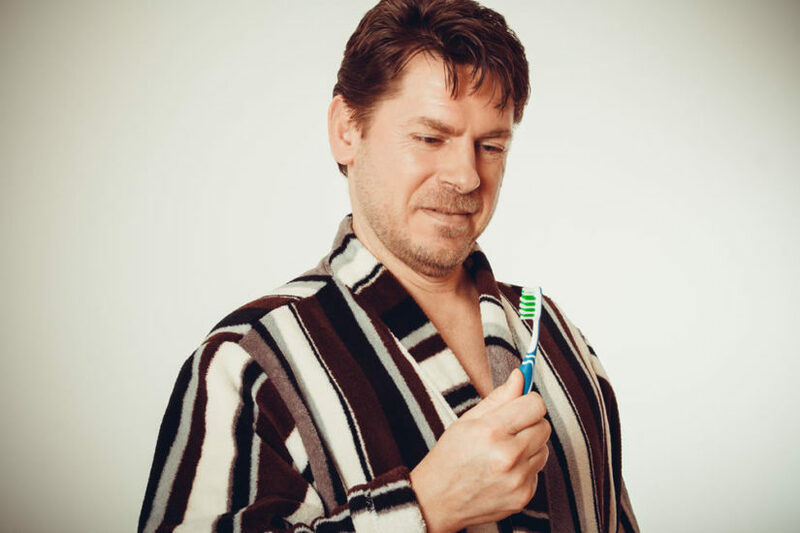 To remedy inadequate oral hygiene, be sure to update your cleansing routine so that your teeth, gums, and other oral tissues are properly brushed in the morning and in the evening, being sure to also floss at least once every day. You may find it more appealing to brush with an electric toothbrush which can be beneficial for gums as the rotating head massages gums and promotes blood flow to the tissues, which helps to fight off infection. For alternatives to traditional flossing, try floss picks or a water pick, both of which are effective and easier to use. Additionally, try using an antibacterial mouthwash after brushing and flossing to give your cleaning routine a boost. Finally, regular professional cleanings from your dental professional are essential even if your oral hygiene techniques are good. Professional cleanings offer a deep clean and can eradicate plaque and difficult tartar that you may not be able to reach or were unaware was there. Fruits, vegetables, dairy products, and foods high in vitamin C are essential building blocks of a diet that keeps your mouth happy. Foods that are high in sugar, starch, and acid on the other hand are what will bring those blocks tumbling down. Sugars from sweet foods and carbohydrates stick tenaciously to teeth and along the gumline and, if not removed soon after consumption, start to eat away at teeth and gum tissues. 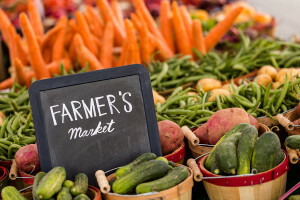 If you indulge in these types of foods throughout the day and don’t brush your teeth between meals, you are essentially adding more destructive bacteria to your mouth with each bite. Crunchy vegetables, however, are great for your oral health as they scrape against teeth and dislodge destructive food and bacteria while being very low in sugar. Dairy products such as cheese contribute to healthy teeth and gums as well and, for swollen gums, foods with anti-inflammatory properties such as fish oil are great to add to your diet. Substituting a meal with a big salad filled with healthy proteins and vegetables can do wonders for your oral and overall health. For advice specific to your diet, speak to your dentist about which foods you could add to or remove from your diet to help make managing your oral health easier. Find out more about which foods are great for your oral health. Unfortunately nearly half of all North American women will experience gingivitis during pregnancy, by their second trimester, which can lead to gum disease. Pregnancy hormones make mothers-to-be much more vulnerable to gum disease even if they brush and floss twice each day as the gum tissues are in general more irritable and less able to fight off infection. Visiting your dentist as soon as you know that you are pregnant is essential so that you can get professional advice tailored to you and set up regular appointments for cleanings and checkups throughout your pregnancy. Brushing and flossing at least twice every day is the most important thing to do to keep your oral hygiene in check. You may want to use a non-alcoholic antibacterial mouthwash after each time you brush and floss your teeth to ensure each corner of your mouth has been cleaned. Learn more about How To Prevent Gum Disease During Your Pregnancy. Susceptibility to gum disease is hereditary and, for those who know that gum disease runs in their family, they must be even more vigilant in their oral hygiene. If you are unsure about the dental health of your family history, ask your dentist about DNA testing which can detect strains of gum disease. Knowing your family oral history may help to manage your own oral health. If gum disease does run in your family, tell your dentist. They can offer expert council about how best to care for your teeth daily to prevent issues from popping up down the road. Brushing, flossing, and using an antibacterial mouthwash daily is essential in fighting against the bacteria that irritates gum tissues and cause destruction. 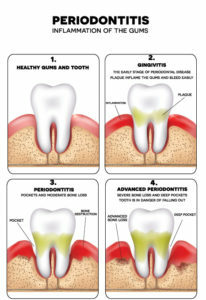 Learn more about Gum Disease: You Can Prevent It! The toxins found in cigarettes are extremely destructive and weaken the gum tissues which can cause discolouration, swelling, and bleeding in gums. In addition, once gums are exposed to such harmful toxins, bacteria found in the mouth are more able to enter the gums and into the bloodstream. This can cause further irritation, bleeding, swelling, and infection. Quitting smoking is the only way to completely rid yourself of cigarette toxins and allow your gum tissues to rebuild and become healthy again. In addition to this, brushing and flossing twice daily is important to keep harmful bacteria from attacking weakened gum tissues. Speak to both your health care and dental professionals about smoking cessation programs that can help you kick cigarettes for good and for your overall health. 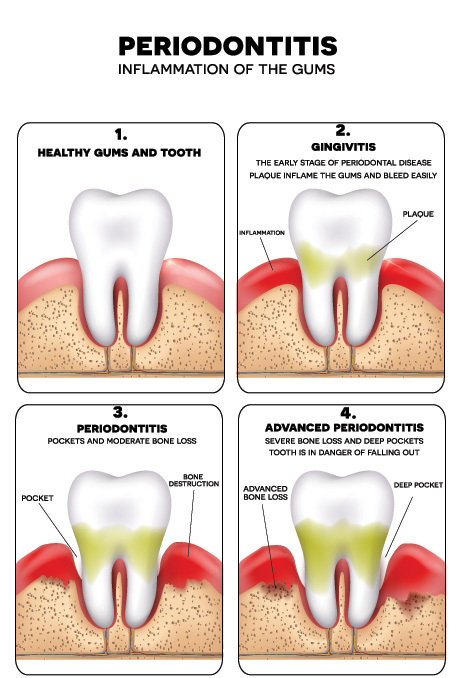 It’s important to keep in mind that gum disease is not the end of your oral health. Most of the time it can be reversed and, with proper oral hygiene and dental professional care, can be eradicated. Call your dentist today to set up an appointment to discuss your oral health concerns and to have a check up, or check out 123Dentist’s amazing member clinics to find a dentist who suits your needs.